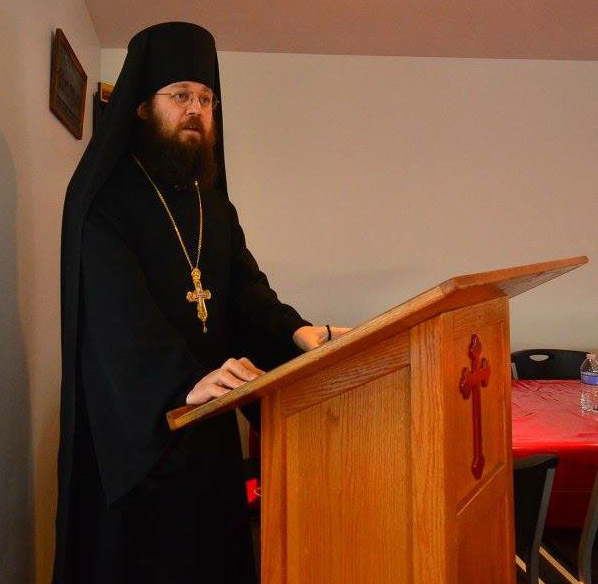 Western American Diocese - Moscow: The Holy Synod confirmed the election of Archimandrite Irenei (Steenberg) as Bishop of Sacramento, July 15, 2016. 1) After reviewing the materials of the Council of Bishops from 2011 and 2014 along with the results of a recent survey of the Council’s bishops that are not members of the Synod of Bishops and having comprehensively discussed the petition of Archbishop Kyrill of San Francisco and Western America, to count Archimandrite Irenei (Steenberg) the Bishop Elect of the Sacramento, auxiliary bishop of the Western American Diocese. 2) In accordance with the “Act of Canonical Communion” of 2007 to send a petition to His Holiness Kirill Patriarch of Moscow and All Russia and the Holy Synod for the confirmation of this election. 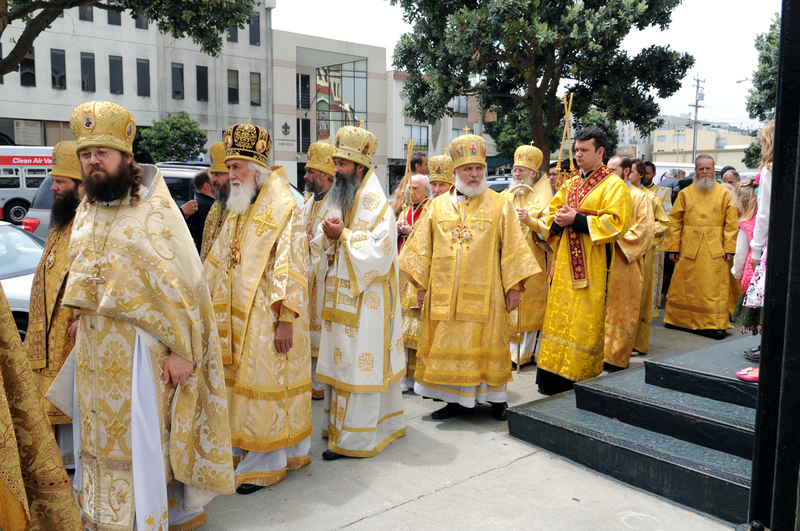 3) In the event of a favorable resolution by His Holiness and the Holy Synod, to perform the episcopal consecration of Archimandrite Irenei (Steenberg) at the Holy Virgin Cathedral of the Mother of God “Joy of All Who Sorrow” in San Francisco on November 6, 2016, and on the eve the “Rite of Episcopal Nomination” in the same cathedral." 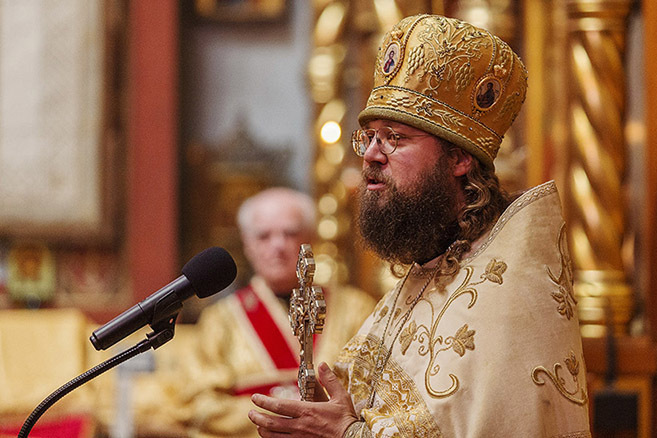 On Friday July 15 the Holy Synod of the Russian Orthodox Church chaired by His Holiness Kirill Patriarch of Moscow and All Russia resolved: “To confirm the decision of the Synod of Bishops of the Russian Orthodox Church Outside of Russia of the election of Archimandrite Irenei (Steenberg) as Bishop of Sacramento, an auxiliary of the Western American Diocese, leaving the place and time of his consecration to the discretion of the Hierarchy of the Russian Church Abroad.” Further information here (Journal entry No 52 of the Holy Synod on July 15, 2016, in Russian). Archimandrite Irenei was born Matthew Craig Steenberg on 7 December 1978 on the American Naval Base in Okinawa, Japan, where he lived the first year of his life before moving to the United States. The majority of his childhood was spent in the USA (in Moscow, Idaho), with time spent in Germany, France and the UK, and a portion of his schooling taking place in Brussels, Belgium. He took a double BA degree in Classics and Religion, then moved to the UK on a Marshall Scholarship to obtain a Masters Degree and then Doctorate in Patristic Studies and Church History from the University of Oxford. Upon completion of his research he was a teaching Fellow in Theology at Oxford, lecturing on Patristics, Church History and Orthodox Theology, until 2007, when he was made Chair and Professor of Theology and Religious Studies at Leeds Trinity University, a post which he held until 2010. Having been tonsured reader and served as choir conductor in Oxford, Fr Irenei assisted in the establishment in 2006 of a new Russian Orthodox parish in the same city, dedicated to St Nicholas the Wonderworker. In 2007 he was ordained deacon on the Feast of the Dormition of the of the Theotokos. In 2010 he was invited by His Eminence Archbishop Kyrill of San Francisco and Western America to move to San Francisco to establish a new Institute of Higher Education in Orthodox Studies, and moved to California to begin this work. On the 8th of March 2010 (the feast day of St Polycarp of Smyrna) he was tonsured a monastic in the Brotherhood of St Ignatius at St Tikhon’s Orphanage Church (the home of St John of Shanghai and San Francisco) in San Francisco, being given the name of St Irenaeus the Hieromartyr of Lyons — to whose life and works Fr Irenei had dedicated so much of his own scholarly work. 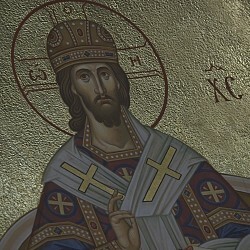 The following Sunday (the Fourth Sunday of Great Lent, dedicated to St John of the Ladder) he was ordained Hieromonk at the Cathedral of the Holy Virgin by His Eminence Archbishop Kyrill of San Francisco and Western America, and assigned as a cleric of St Tikhon’s Church in the same city. On the Feast of St Tikhon of Zadonsk, 2011, Hieromonk Irenei was elevated to the rank of Archimandrite by decision of the Holy Synod of Bishops of the Russian Orthodox Church Outside of Russia. In his service to the Church he works as the Dean for Monastic Life of the Western American Diocese of the ROCOR (appointed 2012); a member of the Education Department of the Diocese and of the ROCOR (appointed by Metropolitan Hilarion of New York in 2014); and of the Synodal Biblical and Theological Commission of the Moscow Patriarchate (appointed by the Holy Synod, 16th April 2016). In 2012, the new Sts. Cyril & Athanasius Institute for Orthodox Studies began operation with the blessing of the Holy Synod, with Archimandrite Irenei as its director. Since 2012 he has served on the Secretariat of the Assembly of Bishops of the United States, and worked in close cooperation with hierarchs of the ROCOR and the Moscow Patriarchate in matters relating to the Episcopal Assemblies and other inter-Orthodox contexts. 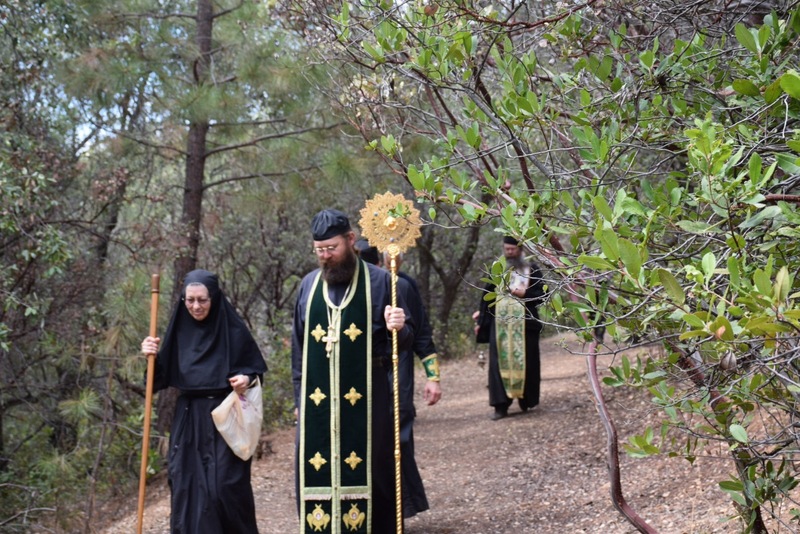 From 2014 Archimandrite Irenei assisted in the founding of the new men’s monastery in Sonora, California, dedicated to the memory of St Silouan of Mt Athos, and at the official foundation of the monastery on the Saint’s feast day in 2015 was appointed its Abbot. Though an academic by training, Fr Irenei has a deep love for the youth of the Church, and long taught in Church school, helped organise the annual St Seraphim Orthodox Youth Summer Camps in Britain, and helped develop Child Welfare policies at the diocesan level. He has written several books and numerous articles on the Holy Fathers, Patristic studies, Orthodox spirituality and life, and Church and Russian history as well as hosting regular radio broadcasts on Orthodox spiritual life.